In the second part of my book chapter I look at the criticisms leveled at both bloggers and professional journalists. I would welcome any corrections, extra information or comments. Blogs have attracted criticism from a range of sources for being susceptible to mob rule (Allan, 2006), for containing ill-informed and biased opinion, for being an ‘echo chamber’ of homogenous voices (Henry, 2007), for lack of editorial rigour, and as representing the rise of the ‘cult of the amateur’. At the same time, professional journalism itself has been under attack for the rise of a corporate culture (Gant, 2007), with many journalists seeing “their autonomy diminishing as newsroom standards of ethics, rigour and balance lost out to management goals of saving money and trivializing the news” (Beers, 2006: 113), while under-resourced newsrooms have faced criticism for running unedited PR videos (Henry, 2007), or relying on only one source (Ponsford, 2007), and investigative journalism specifically has been criticised for allowing sources to set agendas (Feldstein, 2007). Underlying many of these debates are tensions around discourses of amateurism and professionalism. By its nature, professional journalism is a commercialised entity, required to make money. In order to do this it must either attract very large audiences, or relatively affluent ones that are attractive to advertisers or willing to pay high cover prices. It must also keep costs low where it can, meaning newsgathering is generally routinised, and bureaucratised. Herman (2005) illustrates this in identifying five conditions which information must fulfil before it becomes news: the size, ownership and profit orientation of news operations; the dominance of advertising; dependence on ‘official sources’; attempts at control; and ideological pressures. Herman’s framework is useful in illustrating how few of those pressures are applicable to blogs. Most journalism blogs are written by one person, who does not make a profit from their blogging. Advertising, if any exists, is typically sold through a third party such as Google AdSense, and the blogger is rarely dependent on the revenues generated from that. However, while ‘official sources’ are not used in the same way that journalists rely on press releases and spokespeople, there is a well documented reliance on the mainstream media itself for second hand information, albeit often complemented with reference to alternative versions, deeper information, and original documents. 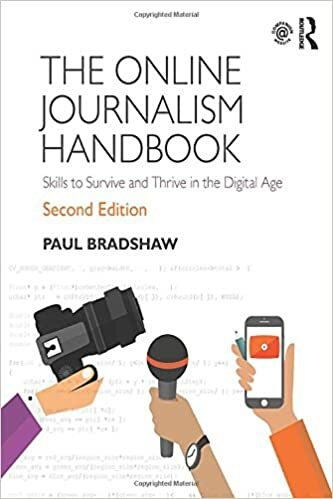 The amateur nature of blogs is often seen as a crucial counterpart to the professional nature of journalism – what Axel Bruns calls ‘gatewatching’ (Bruns, 2005), or Jane Singer describes as an “antidote to journalistic group think” (Friend & Singer, 2007: 119). As Skinner points out: “They are guided by a purpose or mandate other than the profit motive and they are often organized to facilitate a broader range of input into production than their corporate cousins [and] provide ways of seeing and understanding that are marginalized or not available there” (in Beers, 2006: 115). The subjective quality of blogs is compensated by their sheer number: objectivity, some commentators argue, is no longer essential in an age and platform where publishing monopolies do not exist, and the opposing view is only a click away (Gillmor, 2005), while objectivity as a quality of professional journalism was motivated by commercial pressures to attract advertisers and large audiences (Friend & Singer, 2007; Gant, 2007). Indeed, objectivity as a value within mainstream journalism is losing its appeal, with some organisations dropping it from their codes of ethics (Friend & Singer, 2007). Blogs’ apparently ‘unchecked’ nature, meanwhile, is misleading. Whereas professional journalism employs editors to check reports before publishing, blogging tends to reverse the process: publishing, then checking. Editing, in this case, takes place ‘from the margins’, as readers and other bloggers check the facts presented in a process of ‘iterative journalism’ (Bruns, 2005). Unlike mainstream journalism, which produces a time-bound product that seeks to be definitive, or at least a ‘first draft of history’, the products of blogging and other forms of new media journalism are forever unfinished: open to comments, rewrites, updates and, in the case of wikis, editing and redrafting by users themselves. Read the next part of this series – on sourcing material – here. Have I missed something? Included an error? If you want to make changes directly, this section is available as a wiki at http://blogsinvestigativejournalism.pbwiki.com/proamdebate. Click on ‘Edit page’ and log on with the password ‘bij‘. This entry was posted in online journalism and tagged am-pro, citizen journalism, investigative journalism, Michael Yon, objectivity on October 24, 2007 by Paul Bradshaw. Interesting piece. Well researched unlike some blogs! I would like to point at something however. Increasingly blogs are motivated by money because successful blogging now takes more and more time. You have to write, design, answer emails, do SEO work, comment on other blogs, release ebooks etc etc. As a result the profit motive is slowly creeping in. Most bloggers are not willing to do this all for free. It will be interesting to see how blogs develop in the future. I agree – I think bloggers have been changing their work practices as they become more popular, and wish to improve what they do, and this means they have to seek ways of funding them to spend more time on it – or, in my case, look for help from the readers. One thing that I would add is the potential power of the amateur.you make the point of the gatewatcher but actully the potential of the so called “5th estate” could be far greater. I think John makes a good point about the money motivation.I am convinced that it will become more of an issue in the future. I think that you make a great point about the informal editing of blogs. One point I am not so sure of is the blogger providing a wider range of input.I don’t know whether figures are around,but I wander whether bloggers concentrate more on Harcup and O’neills news values of entertainment and celebrity. and I have to agree with John that the blogosphere is changing and that *some* bloggers are being motivated by money. Hence, there’s been a number of blog networks springing up in the past 6-9 months. These networks, however, took quite a hit yesterday via a drop in google page rank (which is one of the metrics used to judge whether or not a blog is “advertising-worthy.”) Part of the speculation around the hit from google was that many of the blog networks do not behave as regular blogs: keeping blogrolls and linking to outside sources. Rather, they behave like newspaper blogs–only linking to one another or to websites (vs. blogs.) Popular newspaper blogs, such as those at washingtonpost.com, took big hits in their g.p.r.s as well. Another thing to remember is that most bloggers, even those who are blogging for money (such as the mommybloggers who blog for Pay Per Post) do NOT consider what they do to be journalism. They *may* consider their blogging to be a form of marketing, but NOT journalism. So, even the idea that blogs are iterative and edited afterward doesn’t necessarily apply to all blogs if the blogs are for marketing purposes. Blogs are then forms of conversation that people add to and ammend (vs. edit/change) in some cases. not all, as the purpose or intention of the blog/conversation may not be to create a form of journalism at all. Interesting stuff, and a fascinating subject in general. With so many blogs out there, it is inevitable that there will be dross, that there will be factually incorrect pieces, strong opinions etc. But there’s also a great deal of information that has gone on to inform the popular press, as well as the other way round. Look to how many newspapers (particuarly the ‘Sundays’) now contain pieces on blogs of note, look to blog material being used to inform television programmes (I think specifically of Belle du Jour), and also how the non-professional, in these days of camera phones and so on, is now contributing to the media in his own right. Many of the images of the London bombings used in the mainstream media were taken by amateurs. As for writing for profit…I think a lot of bloggers would be damned lucky! Not as easy as it may sound, with so many people out there! A subject that fascinates me…I’m off to have a nose around the rest of the pages here! As a journalist of 17 years and a blogger for much less time, my feelings towards the ‘professional v amateur’ debate have been coloured by the issue of media law – and that *some* bloggers do not take on board the principles behind libel and contempt of court. This position may be deliberate in some cases but where it is based in ignorance, for me, that is where the ‘amateur’ tag stems from. An individual reporter or feature writer may have gaps in their knowledge but can (hopefully, on a good day) rely on subs/a newsdesk to plug them before publication. Also, while in many blogs the story can be told brilliantly despite errors in spelling and grammar, in many others, they really do get in the way, imho. I also think there is a blurring of the lines as blogging becomes so much more commercialised and large blogging companies pay aspiring ‘professionals’ a pittance and posts remain unchecked for troublesome mistakes. An area where blogging by ‘amateurs’ has made a real impact on the profession of journalism is in arts criticism as journalists working in this field adapt to keep up with the times, I’ve just written about this for PG. Isn’t there a huge problem with printing then checking after? If something is wrong (ie untrue) isn’t it too late to take back? Having a conversation is great, having one based on half truths or inaccuracies may not be so great, and isn’t it this that the ‘professionals’ are trying to avoid? That’s when they’re not cutting and pasting from the wiki of course. A valid point which I had strangely omitted. Thanks again. Bloggers are audience members who have decided to step into the ring. Employed journalists who object to this (by “object”, I mean deride, complain about, damn with faint praise, etc, and find holes in but ignore similar holes in Big Media) will find themselves “competed out” of the ring when it comes to audiences and revenue streams. Our customers can clearly see the disdain and contempt in which providers such as “mainstream Fourth Estate” journalists hold them but they don’t have to put up with it any more. Bloggers (and other citizen journalists) are increasingly being portrayed as “the negative other” by employed journalists … who have a long and not very pretty reputation of negatively describing other segments of society which threaten them (other races, women, ‘poor people’, ‘foreigners’ etc) and this is just the latest incarnation of a massive problem in the journalism profession … unreflective and unprofessional threatened behaviour. Bloggers as a group have reached the stage of proficiency, know-what, know-why and know-how that they are in a position to compete for eyes and cash with employed journalists working for “mainstream” media. 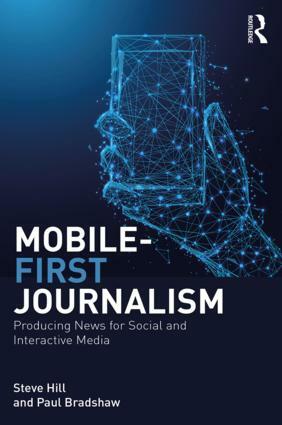 This is intensely exciting and reassuring for someone like me, who aims to form and graduate journalists of all kinds for the future, but not the many lazy, call-centre-style journalists who seem to populate modern newsrooms of the present. There is always time and resources for checking facts behind the less than professional reporting of blogs, particularly about the issues of importance that the professional, organised, mainstream media ignores. Unlike mainstream journalism, which produces a time-bound product that seeks to be definitive, or at least a ‘first draft of history’, the products of blogging and other forms of new media journalism are forever unfinished: open to comments, rewrites, updates and, in the case of wikis, editing and redrafting by users themselves. Exactly as demonstrated here, over a year since it’s original posting this article has drawn me to comment, largely because of recent comments made by UK MP Hazel Blears regarding Political Blogs. Mainstream media and political organisations fear the unregulated nature of blogging and will seek to redress the balance. Look at Australia plans for net censorship. Online journalism has taken on a political agenda nowadays. Blogs are echo chambers. The right way to debate online is touse debate websites such as http://www.DebateIsland.com. I prefer casual online debating, but at times also do formal 1-1 debates.